As my kids don't like sandwiches when they are on school holidays I am constantly looking for new lunch ideas for them. These are perfect. They are simple to make and a great way to clean out bits and pieces out of the fridge. I will put the ingredients as listed in the original recipe, however the chorizo can be substituted with cabanossi, twiggies, ham etc. The Manchego can be substituted with tasty cheese, mozzarella, Havarti, any cheese that melts really. 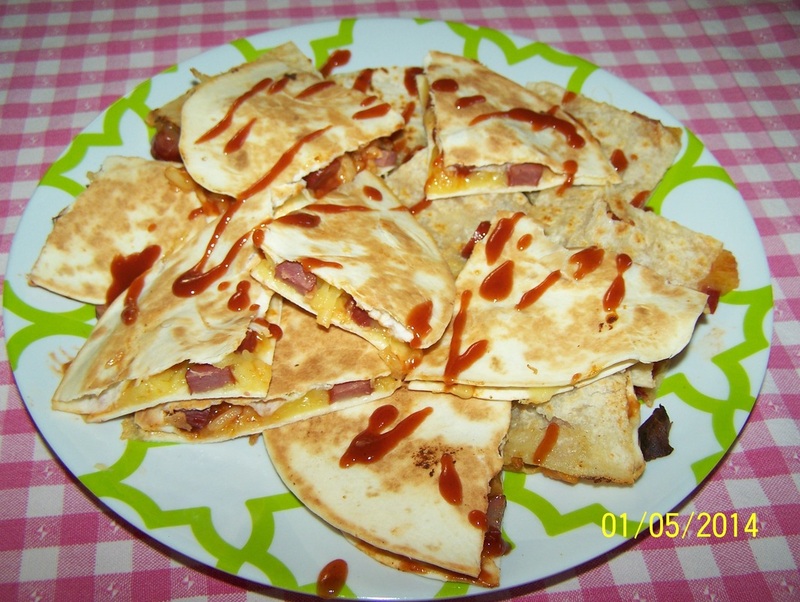 The tortillas can be wholemeal if you prefer, and try different brands until you find the one you like. Also use big or small ones, it is completely up to you. Small ones I find easier to flip. Now for the sauce, I like it with a spicy tomato sauce, it makes it taste so much nicer. Use as much or as little as you like, you can use normal tomato sauce also, it doesn't have to be spicy. Also I must say I don't measure the ingredients. It is really just sprinkle on some cheese, then scatter over as much of the chopped or sliced sausage as you like, then sprinkle over more cheese, again as much as you like. Use the measures below as a guide. Heat a lightly oiled frying pan and lay a tortilla on it. Drizzle on the sauce. Scatter with 1/2 the cheese, followed by the chorizo and coriander. Sprinkle with the remaining cheese and place the other tortilla on top. Over medium heat, press the top tortilla down well. 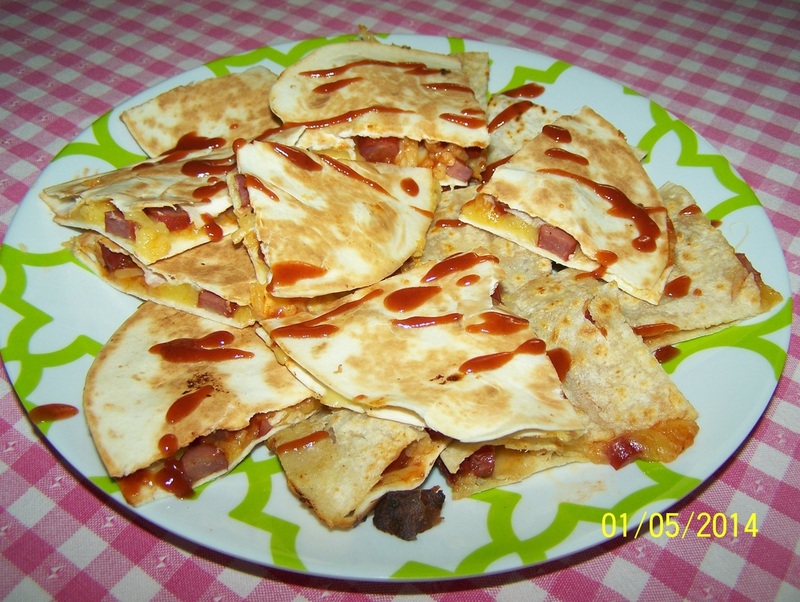 Cook for 2-3 minutes, or until the bottom tortilla is golden and the cheese is starting to melt. Carefully flip it over and cook on the other side for a further 2-3 minutes. Carefully place the tortilla on a chopping board. Cut it into wedges, drizzle over a bit more sauce. Serve immediately.